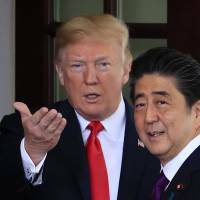 WASHINGTON - Acquiescing to the demands of U.S. President Donald Trump, Japan has decided to open bilateral trade negotiations with the United States in hopes of avoiding U.S. tariffs on its automobiles, people close to the matter said Saturday. The plan would break with Prime Minister Shinzo Abe’s preference for a multilateral trade relationship with the U.S. under the Trans-Pacific Partnership, but Abe has not given up on drawing Trump back into the now 11-nation agreement. Tokyo will propose a joint statement laying out how to move forward with planned negotiations when Toshimitsu Motegi, state minister in charge of trade talks, meets with U.S. Trade Representative Robert Lighthizer on Monday in New York, the sources said. If Tokyo and Washington agree on its content, a statement could be released Wednesday after Abe and Trump hold talks in New York on the sidelines of the U.N. General Assembly’s annual meeting. Japan is to agree to talks on a bilateral deal on condition that Washington holds off on imposing additional tariffs on the Japanese auto sector, according to the sources. Tokyo is expected to continue resisting demands to reduce its agricultural tariffs below that agreed in the TPP talks in hope of encouraging Washington to return to the multilateral framework, they said. Trump has made clear he is unhappy with Japan’s $69 billion trade surplus with the United States, nearly two-thirds of it caused by auto exports, and wants a two-way agreement to address it. 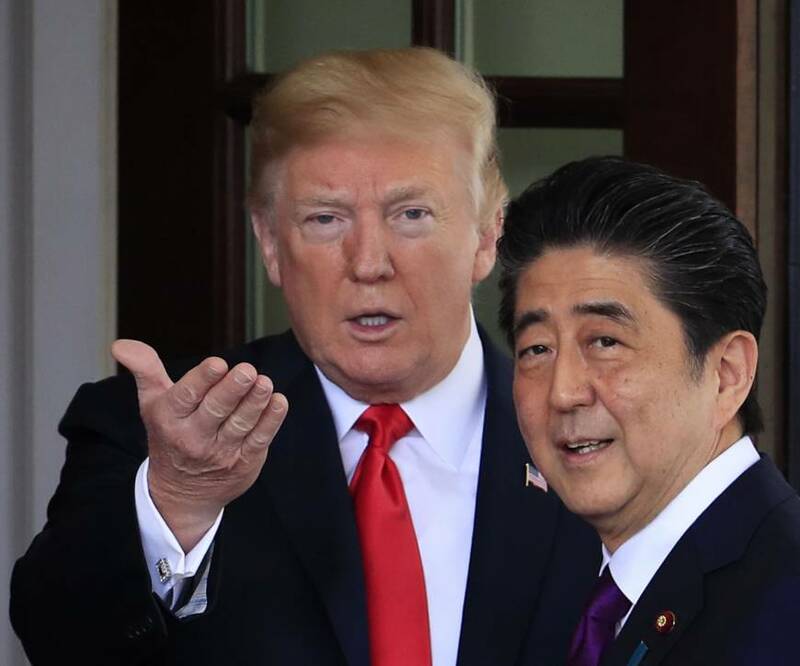 Abe has supposedly forged close ties with Trump, but there is widespread uncertainty on whether he can persuade the president to change his mind despite winning a third term as prime minister Thursday in his party’s leadership race. The threat of Japan-U.S. trade friction has been present since Trump took office last year with a pledge to renegotiate trade deals he considers unfair to U.S. companies and workers. Japanese officials have grown increasingly worried that Trump will demand a reduction in Japanese auto imports to lower the trade deficit. They also fret that Trump could impose steep import tariffs on auto parts as well, which would deal a severe blow to Japan’s export-reliant economy. “Japan swallowed voluntary export curbs in the past, so Washington may find this an attractive option,” said Toshiro Muto, a former top Finance Ministry bureaucrat who retains close ties with policymakers. The U.S. is Japan’s second-largest trading partner after China. Some officials say Japan may have no choice but to reduce the number of cars it ships to the world’s top economy because Washington is its closest ally and guarantees its defense. “Given our position (close diplomatic relationship), we would have to swallow their demands,” said one government official. Next week’s meeting between Motegi and Lighthizer will follow one in August in which the allies failed to narrow their differences on whether to open negotiations on a bilateral FTA. “Based on the common understanding we built in the first round of talks, we’ll seek a ‘win-win’ outcome that benefits both countries,” Motegi said Friday. Tokyo is worried that, as part of any bilateral deal, Washington pressure it to further open its politically sensitive farm market. The sense of unease in Tokyo has increased as Trump has refused to back down in a heated trade fight with China, and has reportedly pushed Mexico into agreeing on a cap on auto exports to the United States. Trump, according to a column published in the Wall Street Journal on Sept. 6, has suggested he will again turn his attention to trade with Japan.